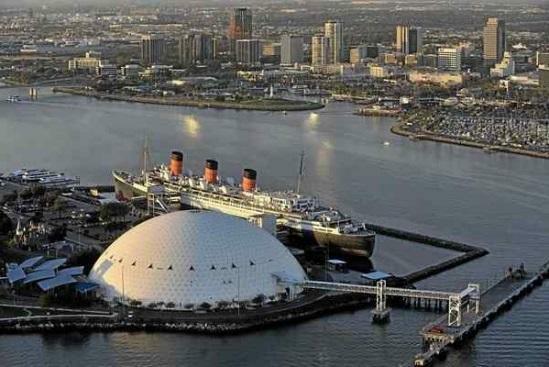 In January 2016, the City of Long Beach approved a 66-year lease contract for the Urban Commons, a Los Angeles based investment company, to take over the master lease for the Queen Mary and about 43 acres of surrounding waterfront land. Urban Commons plans to develop the site turning it to an iconic and world class entertainment venue. Urban Commons selected Geo-Advantec, Inc. as the geotechnical engineer for this world class, mega project. The improvement at the site would include design and construction of about 500,000 square feet of retail buildings, hotels, parking structures, and entertainment centers. Geo-Advantec Inc. conducted a comprehensive field exploration program, followed by extensive laboratory testing and engineering analysis, and provided a comprehensive geotechnical engineering report which will be used as the basis during design and construction phases of the project. Spots was the Lakewood and Alondra intersection. The intersection was among the “Top 40” intersections selected for initial improvement evaluation. Geo-Advantec provided Initial Site Assessment (ISA) report and Pavement Engineering Study for the project. Geo-Advantec Inc. (GAI), provided the Initial Site Assessment (ISA) for the project. The scope of the work included but was not limited to review of physiographic information including regional geology and hydrogeology, review of topographic maps and aerial photographs, review of site history and land use within the Site vicinity, review of federal, state, tribal, and local government agency records. Also, by conducting several borings/coring through the pavement section, necessary data about the existing pavement section and subgrade soils were collected, a preliminary geotechnical and pavement engineering report was prepared and the new pavement section was designed. 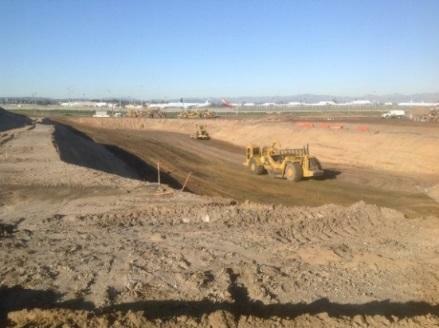 In January 2015, Geo-Advantec began working on a mass grading project in the LAX. 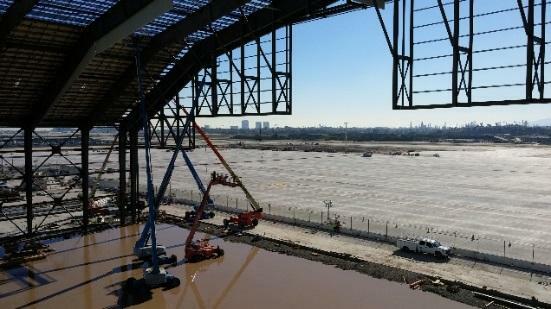 The project included grading operations for a large area located on the west end of the airport and included grading for a large-span hangar for Qantas Airline, with a footprint of about 110,000 sf. The job included raising the existing natural grade to the designated elevation by placing and compacting of up to 30 feet earth materials. 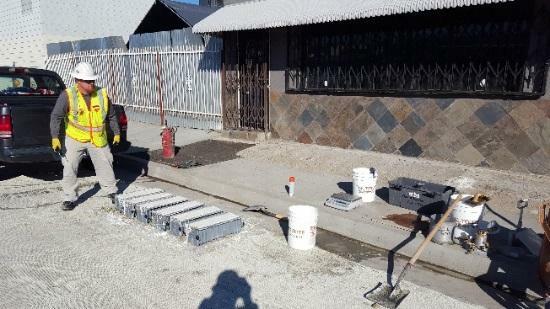 Geo-Advantec performed as the geotechnical engineer of record (GEOR) for the project and provided qualified Deputy Grading Inspectors certified by both ICC and the City of Los Angeles to monitor the grading work, and perform field density testing on a daily basis. Also, during the construction of Aprons and taxiways carrying mega planes, we performed concrete inspection. The beam samples of concrete were casted and tested for flexural strength in our laboratory. 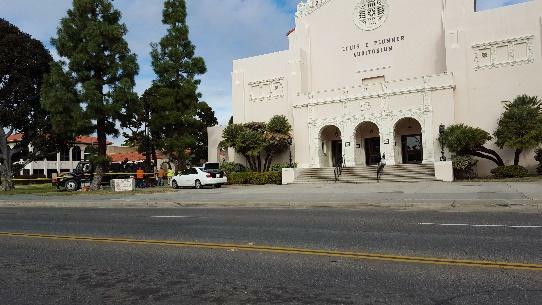 City of Torrance intended to construct a Transit Park and Ride Regional Terminal to create a strategically located, multi-modal facility that meet the regional needs of South Bay residents. The project was to improve regional mobility by linking Torrance Transit routes with other regional providers in the Transit Terminal. The Phase I of the job included rough grading of half of the existing fifteen-acre undeveloped site, located at 465 Crenshaw boulevard, which would be dedicated to the Transit Terminal. 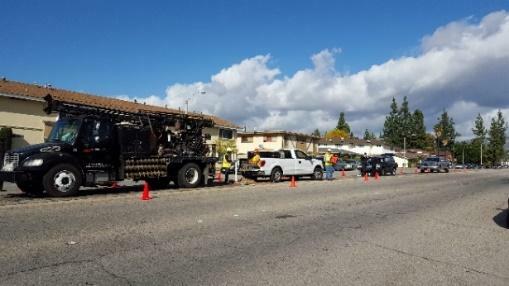 The City of Torrance retained Geo-Advantec for grading observation and soils testing of different components of the project including proposed one-story and two story buildings, bus platform, canopies, and pavement of the designated areas. To complete the project, about 45,000 cubic yards of soils were imported to the site. The purpose of testing and inspection operations was to verify that the completed work complied with the project plans, specifications, special provisions, and geotechnical recommendations. Washington Boulevard is a major east-west corridor that serves as one of the significant connectors between the I-710 and I-5 Freeways carrying approximately 35,000 vehicles per day, 25% of which is truck traffic. This segment of roadway is the key link in the regional movement of goods from the ports of Los Angeles and Long Beach to the terminals of the Union Pacific Railroad and Burlington Northern Santa Fe Railways. The job was a reconstruction and widening project covering a 2.7-mile segment of Washington Boulevard between Indiana Street to the Santa Ana (I-5) Freeway. The project was to improve truck circulation and current level of service operations by reducing delays and traffic while improving the overall air quality. It would widen the mentioned segment from two lanes to three lanes in each direction, which would allow for an increase in the turning radius and larger medians for better traffic flow. Geo-Advantec was selected as the Caltrans certified laboratory and provided field inspection/testing and laboratory testing in compliance with Caltrans Local Assistance Manual. 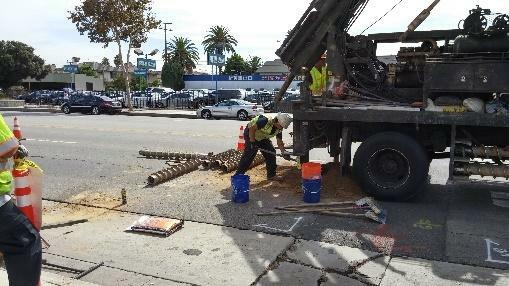 Our team performed testing and inspection on flexible and rigid pavements per the project/Caltrans requirements. We also measured the compressive and flexural strengths of different types of concrete pavement components. The project duration was about 24 months and the construction cost was approximately $30M. Eastern Avenue carries a high volume of vehicular and truck traffic. 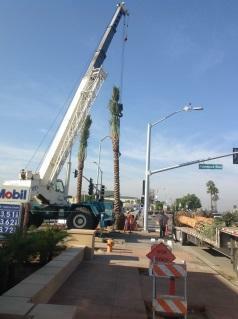 The project included one mile stretch of pavement from Steven’s Steakhouse to the city limits on Bandini Boulevard. In addition, the Annual Sidewalk Maintenance Program repaired approximately 700 feet sidewalk displacements throughout the entire city. Based on the studies performed by Geo-Advantec, different rehabilitation alternatives were suggested and due to the time limitations, as well as economy of the project, the Full Depth Reclamation (FDR) alternative was selected. The pavement section comprised of HMA over 3 inches of Cold Central Plant Recycled (CCPR) asphalt being supported on 16 inches of Reclaimed Cement Treated Base (RCTB) was selected. Geo-Advantec performed geotechnical/pavement engineering study and provided during construction services including laboratory materials testing and field inspection on all facets of the work, i.e. reclaimed cement treated base layer, reclaimed asphalt and the capping HMA. 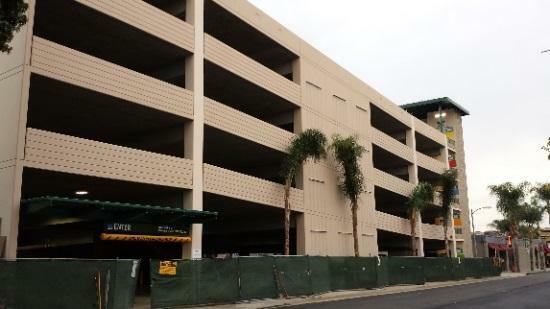 Geo-Advantec provided soils monitoring/observation, special inspection, and material testing for a 5.5-story Parking Structure at the North 1 st Street of the City of Alhambra. The structural system of the proposed parking building comprised of post-tension decking supported by reinforced concrete columns resting on spread and strip footings. 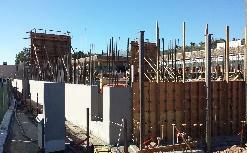 The perimeter concrete walls were constructed using shotcrete method. 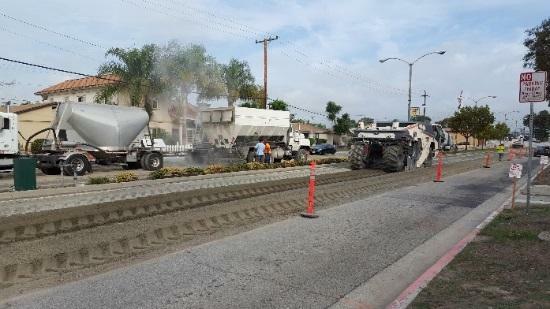 The project consisted of streetscape enhancements on Rosemead Boulevard to improve safety and aesthetics within the Temple City right-of- way. The proposed improvement was over approximately 2 miles of road, from the southern city limit with the City of Rosemead at the UPRR railroad bridge to the Northern city limit with the County of Los Angeles at Callita Street. In general, the project features included Removal and replacement of existing sidewalks, asphalt pavement, concrete pavements, curb and gutters, curb ramps and existing short retaining walls, construction of localized decorative pavements and crosswalks, removal and replacement of drains and installation of new drain system, installation of new irrigation system lines, improvement of underground utilities, installation of traffic signals and traffic signs, construction of bus shelter, median hardscape, and installation and improvement of street and pedestrian lightning. 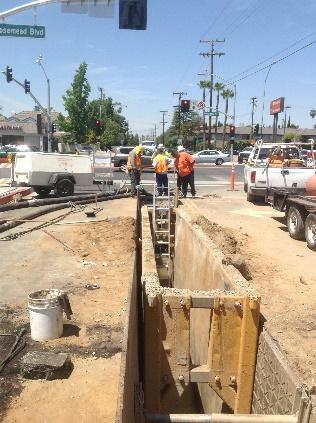 The project was federally funded and performed under the Caltrans oversight. 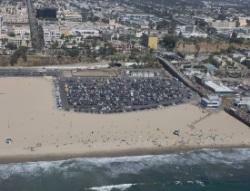 Geo-Advantec provided the resident inspector of record services for the project. The duration of the project was about 16 months and the construction cost was about $18M. In 2012, Geo-Advantec conducted a comprehensive geotechnical study for a proposed three-story parking structure to be constructed at 1543 Ocean Front Walk, Santa Monica, California. The site was along and within a close distance from the shore line and our study on the site location concluded that the underlying soils strata at the site consisted of materials susceptible to liquefaction. In addition, regional seismicity and presence of major active faults was considered a signification hazard source in the site vicinity and required a thorough seismic hazard study at the site. The investigation was completed in a short time and the final report included our assessment of the site condition, post-liquefaction settlements at the site, and different mitigative alternative for earthquake-induced settlement. 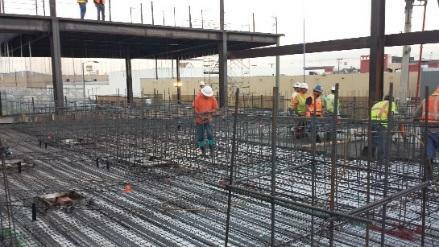 As a DSA approved laboratory, Geo-Advantec provided soils/materials inspection and testing services for construction phase of the new student service building, a 20,000sf steel-framed two story structure in Lawndale High School. The testing and inspection services included but not limited to soils testing, concrete field, laboratory and batch plant testing and inspection, Steel frames/structures field installation and welding inspection, welding shop inspection, high strength bolt testing and inspection, fireproofing, and masonry. The estimated construction cost of project was about $15M. The project involved modernization of the existing Music Building, as well as construction of a new 20,000 sf area Auditorium Building. As the DSA Laboratory of Record, Geo-Advantec provided geotechnical and materials inspection and testing and conducted continuous/periodic inspections in compliance with the requirements of T &amp; I sheet (DSA-103), applicable codes, and DSA approved project documents. The project cost was about $14M and the entire duration of the project was about 15 months. 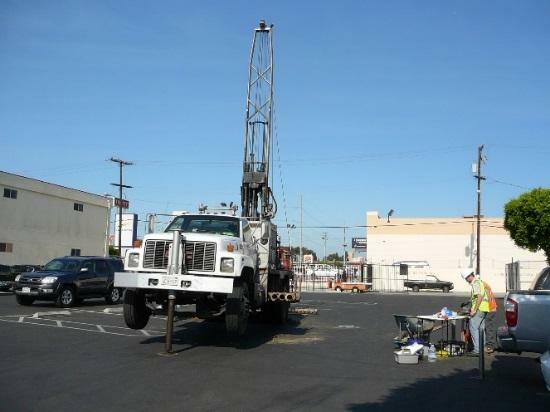 In 2013, Geo-Advantec conducted four separate geotechnical and geohazard investigations for the Centinela Valley Union High School District at Hawthorne and Lawndale High Schools within the city of Hawthorne, California. The development in Hawthorne High School included a one to two-story amphitheater, a two-story classroom building, and a drop off parking area and two parking lots. The proposed developments in Lawndale High School consisted of the construction of a two-story student union service building along with the associated site work in the building vicinity, a two-story classroom building and the repaving of the existing asphalt paved parking area on the south and southeast side of the proposed building. Geo-Advantec conducted field exploratory works, and performed laboratory tests on collected soil samples. After performing engineering analysis, we provided the District with final reports which were approved by CGS (California Geologic Survey). Wiseburn Unified School District and Da Vinci Schools together financed construction of a high school facility envisioned to be an innovative structure designed for 21st Century education. A combination of $87 million local bond and $52.7 million in the state matching funds from the Charter Schools Facilities Program provided the funding for the building and grounds, including a multi-purpose theater, practice field, gymnasium, and pool. A new one and partially two-story gymnasium, approximately 35,000 square feet, an aquatic center with two swimming pools, a storage and mechanical room, and a new paved parking area around the proposed gymnasium and pools. Renovation of an existing four-story office building to be converted to a future high school building. The existing four-story building had about 80,000sq area in each floor, totaling in about 330,000sq building area. The building was supported by large-diameter caissons with enlarged base. As part of the project, we conducted shear wave velocity measurement site specific seismic hazard study. Then we provided specific recommendations for the new shallow and deep foundations as well as re-strengthening of the existing caisson to accommodate the seismic loads. The final report was reviewed and approved by the CGS/DSA with no corrective comment. Geo-Advantec team performed a comprehensive geotechnical evaluation to provide information for design and construction of the project. The auditorium building was considered a historical site built circa 1930s’. 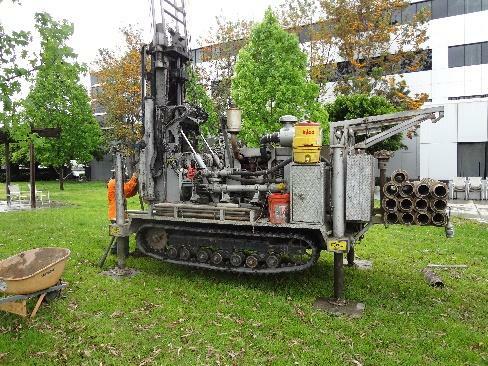 Our field geotechnical study included conducting 5 borings, as deep as 60 feet, as well as measuring Vs30 (shear wave velocity for the upper 30 meters) at the field by using Spectral Analysis of Surface Wave (SASW) method. GAI team performed laboratory tests on selected samples as well as engineering analysis. And provided all the soils parameters complying with the methods outlined in ASCE 41-13. To evaluate the seismic hazard at the site, we conducted site-specific study (probabilistic and deterministic hazard analysis) and provide the structural team with the site-specific spectra. 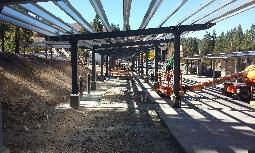 In 2014, GAI performed a geotechnical investigation for two sets PV array structures for the City of Big Bear Lake. Afterwards, and during construction, GAI provided geotechnical materials testing and performed continuous and periodic inspections in compliance with the project approved documents. Our. 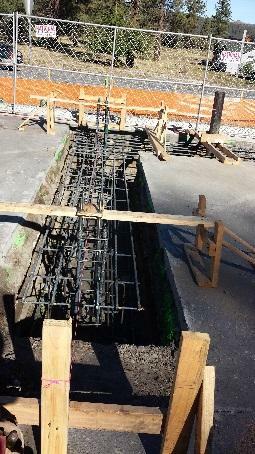 scope of work included reviewing plans and project specifications, monitoring grading works, observing the bottom of excavations, observing and logging the caissons, inspecting rebar placement, performing periodic site visits for quality control purposes, observing and testing compaction during grading operations including removal and backfilling, documenting removal, backfills, and tested areas, performing required laboratory tests on retained samples from on-site and/or imported materials for fill placement, field concrete sampling, and laboratory compression testing on the collected samples. 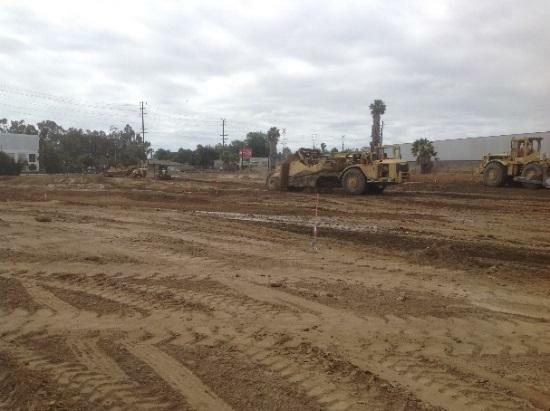 The project site was in the City of Anaheim, California and would expand over two adjacent properties with the addresses of 5030 and 4952 La Palma Avenue. 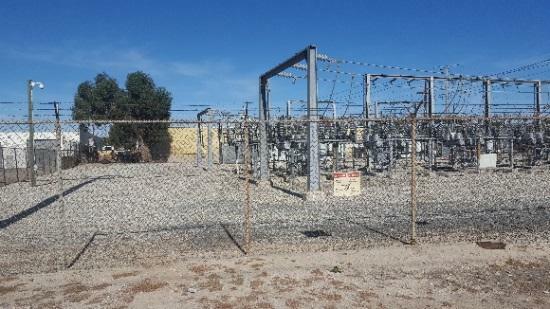 To upgrade the 12KV Switchgear and Control Building, the proposed developments included construction of three new poles, several switchgears, and a control room on the site, as well as other miscellaneous jobs. Geo-Advantec performed comprehensive field exploratory program, and conducted laboratory testing on the collected samples. After completing the engineering analysis, our team provided the City with the geotechnical engineering/geohazard evaluation report. The proposed development at the site included replacement of the existing sanitary sewer line with a larger diameter vitrified clay pipe (VCP). The existing pipe diameter ranged approximately from 10 inches to 18 inches from Garfield Avenue to 8th Street while the proposed replacement VCP ranged approximately from 15 inches to 24 inches. The existing and future VCP lines were located at the depths ranging from 13 to 19 feet below the ground surface (bgs) along the segment of the project and included periodic manholes that extended up to ground surface. 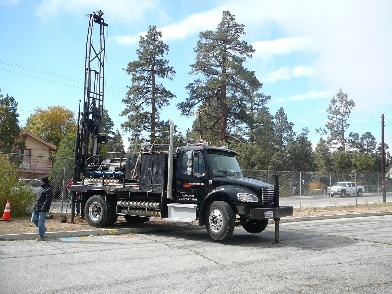 GAI’s scope of work comprised of conducting field exploratory borings, performing laboratory tests on collected samples, and preparing a final geotechnical report with our recommendation on the deep trench excavations and utilizing shoring. 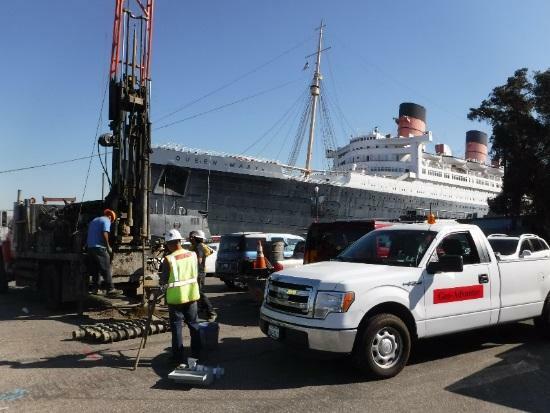 Geo-Advantec, Inc. provided geotechnical instrumentation and monitoring for the City of Los Angeles Trunk Line South, Unit 4, Phase 2. The project purpose was studying and monitoring the displacement of the deep tunnel shafts’ walls and settlement of the underground tunnel due to construction of a new sewer line. To monitor the movement and settlement during the construction, GAI installed four inclinometers, each between 25 to 40 feet deep, and six vertical/deep extensometers of about 70 feet deep. The reports of instrumentation readings were prepared and provided to the project team on a daily base. The City intended to design and construct an on-site storm-water disposal system. The system would collect and infiltrate Garey Avenue runoff into the ground. Geo-Advantec scope of work included conducting several exploratory borings at the designated locations, conducting SPT and sampling at 3 feet intervals for the substrata profile determination, collecting disturbed/bulk samples of the encountered subsurface material, conducting three percolation tests at a depth targeting the most permeable layer, performing laboratory testing on the selected soils samples, reviewing the field data and the laboratory test results, performing engineering analyses, and preparing a final geotechnical evaluation report that included results of our field and laboratory testing and determined infiltration rates at the site. Our team completed the project in less than two weeks. As an environmental friendly approach, the City intended to design and construct on-site storm water disposal systems in several streets. 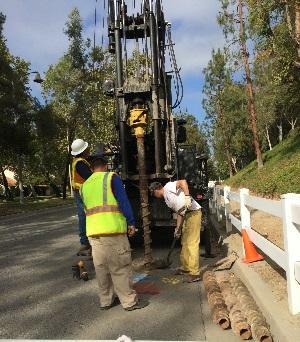 Geo-Advantec was employed to perform a geotechnical investigation at Cienega Avenue, Monte Vista Avenue and Via Verde Street. The total length of the project was about 3 miles. 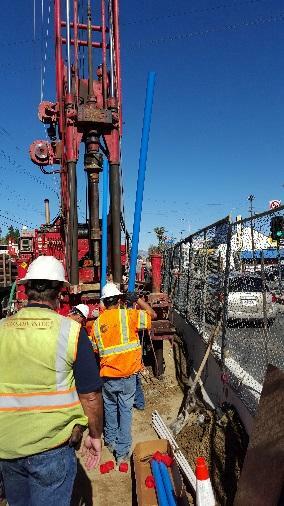 We conducted 15 borings using a hollow stem drilling rig and the borings were advanced to a maximum depth of 25 feet. The laboratory tests were performed on the soil samples collected from different layers. Based on the tests results analysis, the preliminary permeability of soil layers at each location was determined and reported. We provided the city with the final profile of soil stratigraphy and their permeability properties. The report assisted the City in determining the future possibilities of using on-site disposal system and would be used as a guide in determining the locations of future field percolation tests. The project was intended to help protect public health by replacing aging infrastructure and help prevent groundwater contamination. The project also implemented the sewer master plan by taking advantage of an opportunity to upgrade the previous 12-inch sewer lint to a 15-inch line as recommended by the plan. 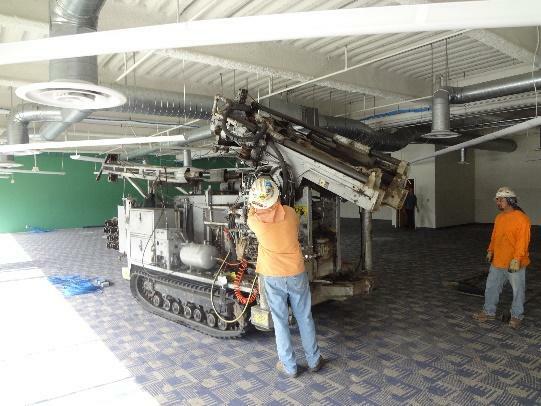 Geo-Advantec provided during construction soils and asphalt testing services to the City. The grading work consisted of excavation, backfilling, compaction, and asphalt paving for the proposed sewer line, within the approximately 1,700 linear feet length of the project.